We would love to officially invite you all to our We Mind Be Kind Wynyard School Community Partnerships Exhibition, this Thursday night at ArtsCape on Jackson St at 6pm. This evening is to inform community of the We Mind Be Kind Anti Bullying campaign. 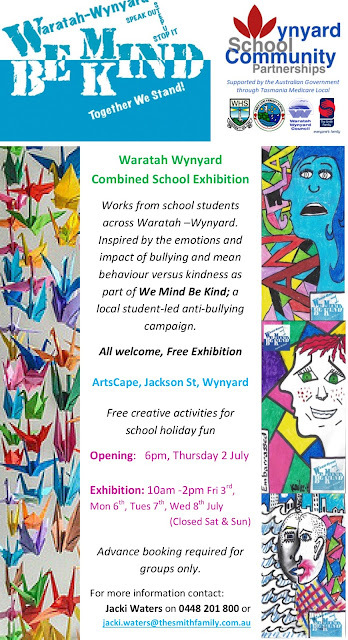 Come and view art work, film, interactive workshops and pledging, led by local students from Wynyard High School.